Monument Valley, a red-sand desert region on the Arizona-Utah border, is known for the towering sandstone buttes of Monument Valley Navajo Tribal Park. The park, frequently a filming location for Western movies, is accessed by the looping, 17-mile Valley Drive. 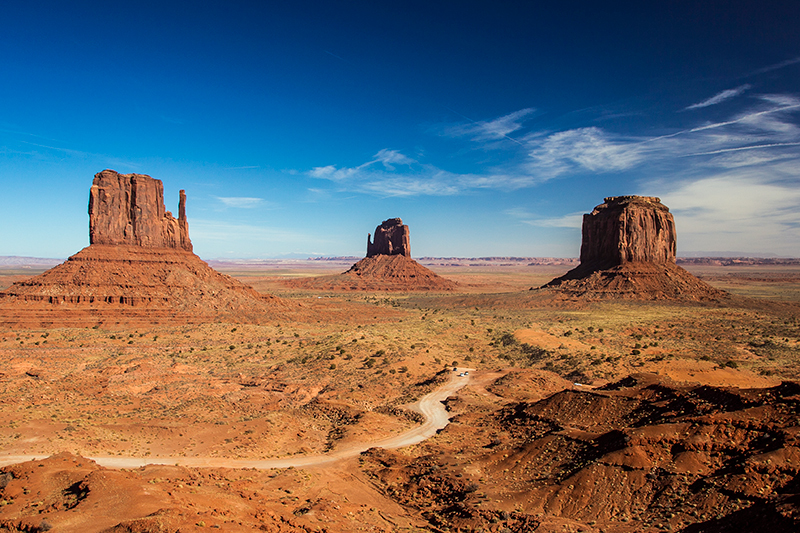 The famous, steeply sloped Mittens buttes can be viewed from the road or from overlooks like John Ford’s Point.